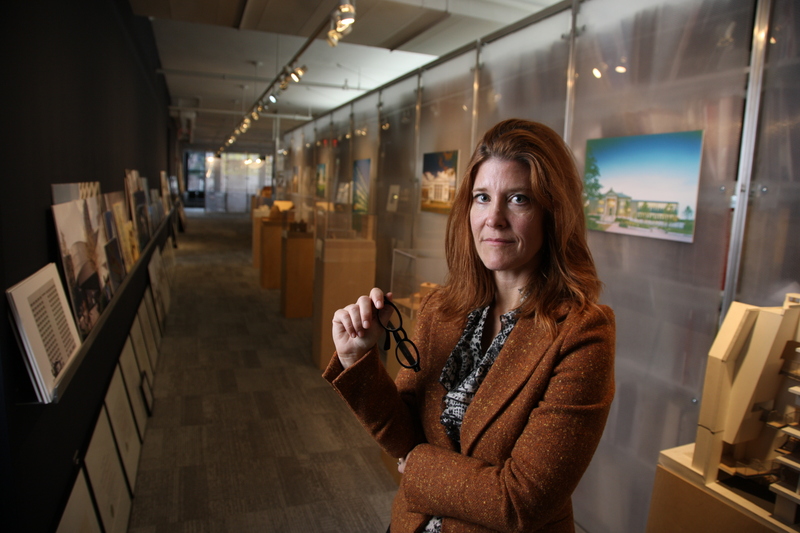 Angela Ward Hyatt (’91) followed up her Iowa State architecture degree by getting a master of architecture with distinction at Harvard University’s Graduate School of Design. And then she was hired by a firm right up the street from Cambridge: Schwartz/Silver Architects Inc. of Boston, where she’s been happily working since 1994. Her first project was to design a major addition to Boston’s New England Aquarium – a plum assignment for a new architect. Since then, Angela has developed a focus on library projects, working with such diverse libraries as the Hyde Park branch of the Boston Public Library, the Phillips Library at the Peabody Essex Museum in Salem, Mass., and the campus library at Connecticut College. Angela also appreciates that her library projects are not new, from-the-ground-up buildings but rather additions and renovations of existing buildings. “I like giving new life to these buildings,” she says. Angela and her husband, Matthew, whom she met in graduate school, have two sons, Owen and Miles, both fledgling computer geniuses. They live in a 160-year-old house in Brookline, Mass., and have an adorable mixed-breed dog, Axel, for whom Angela designs high-end doggy duds.